Not sure where to start? 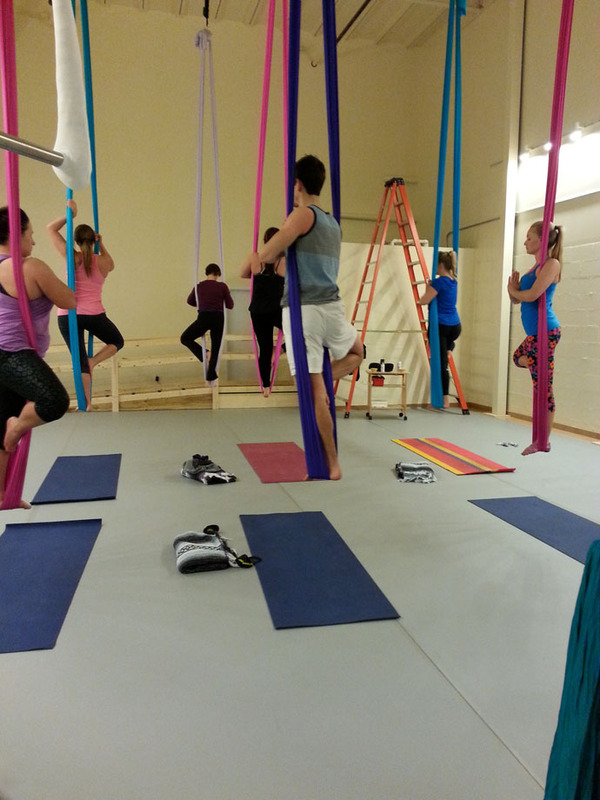 Aerial Silks, AcroYoga, Aerial Yoga, and Tumbling are all great beginner-friendly classes to start with! All of our aerial classes are capped off at either 5 or 6 students. 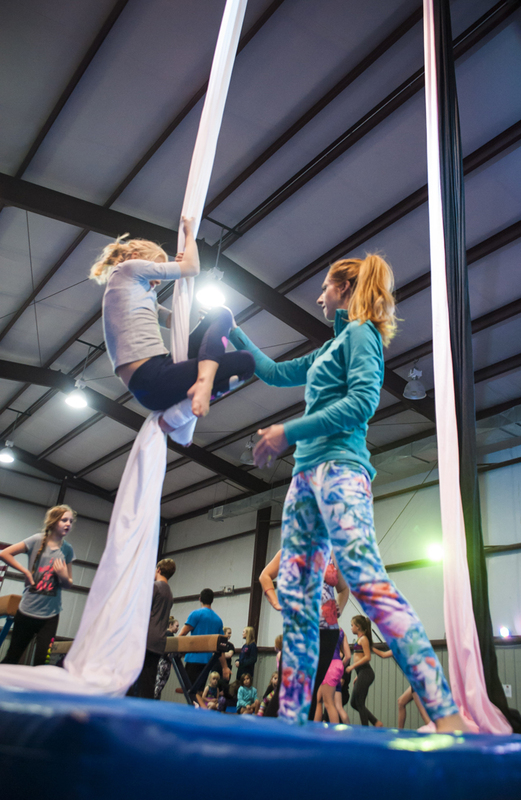 This small size limit allows us to work with each student individually, and at their own skill level. 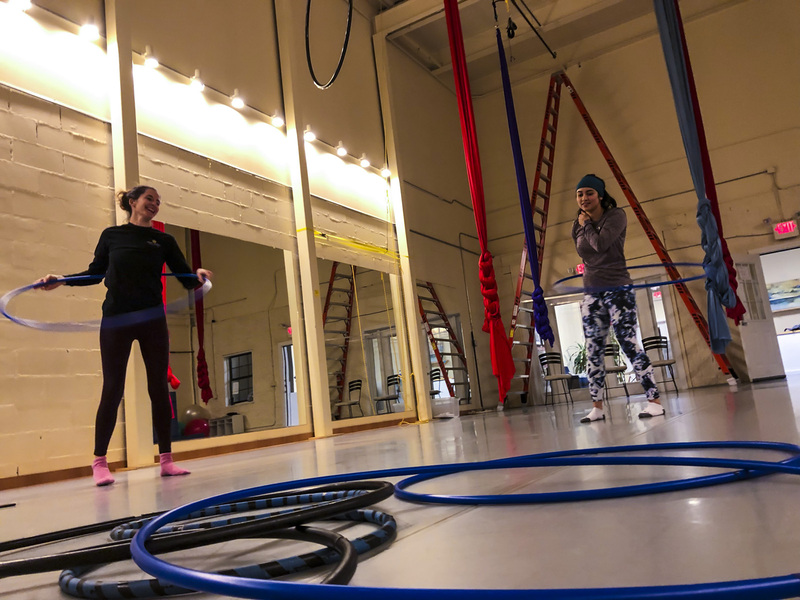 We have classes for all ages, fitness levels, and body types! 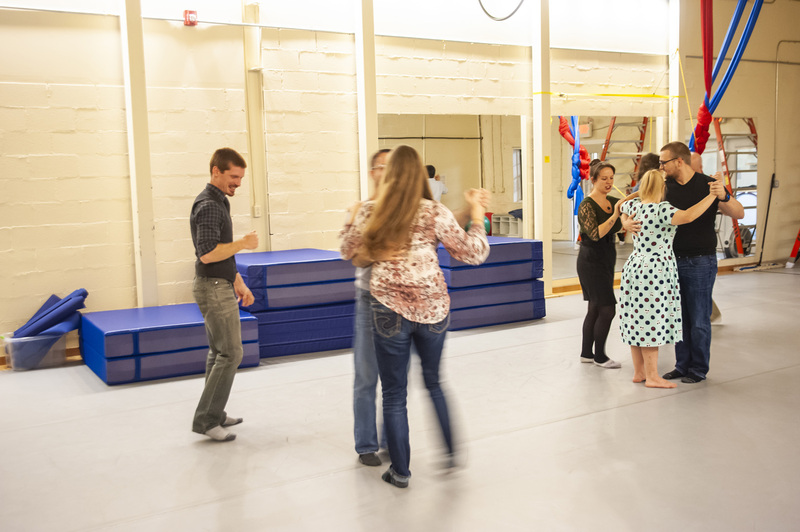 These are our most popular classes for new students. 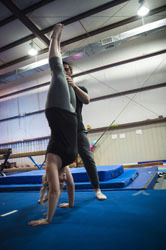 Our instructors work individually with each student and adapt to their level of strength and comfort. 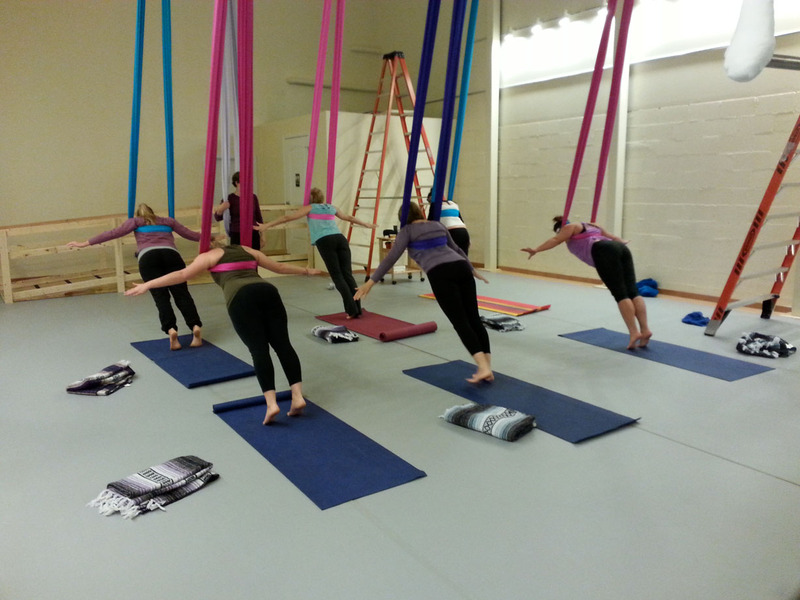 In this class, you will learn many movements in the silks, and in doing so, increase your upper body strength. 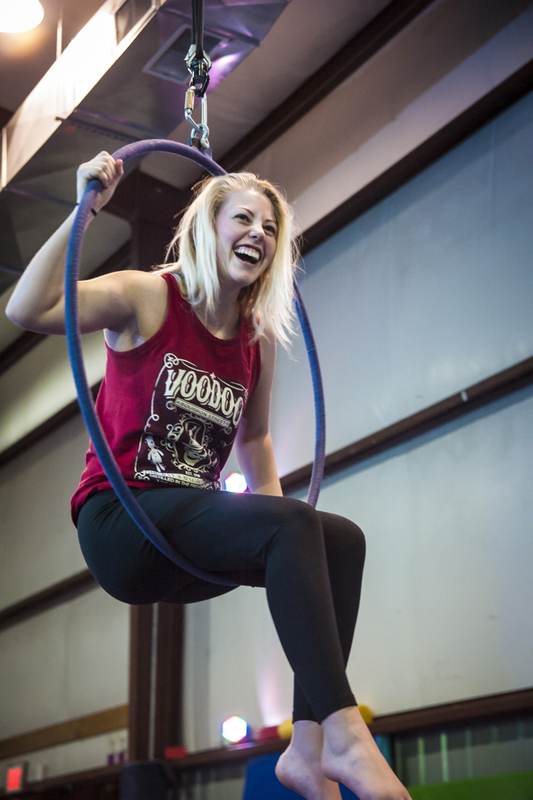 But you&apos;ll be having so much fun, it won&apos;t feel like you&apos;re working out! 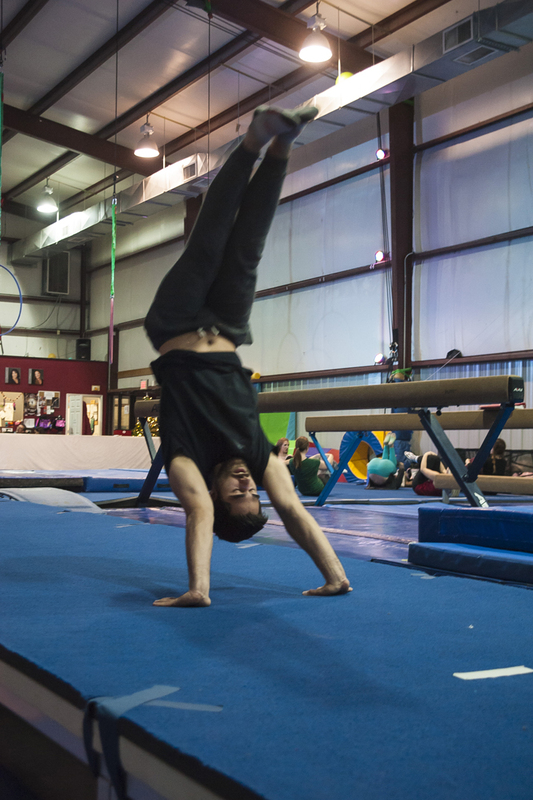 We work over an 8-inch crash mat at all times, and all beginner moves are done low down to the ground. 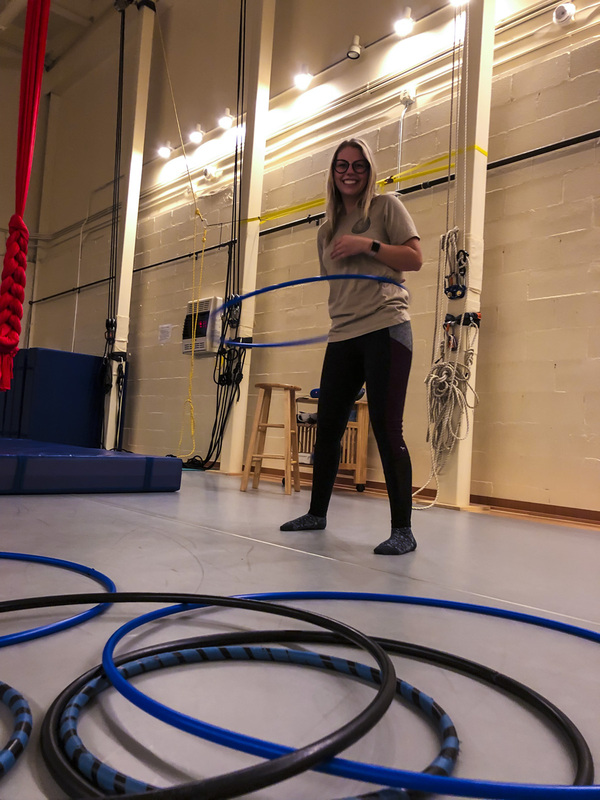 The core goals for this class are to be safe, and have fun! 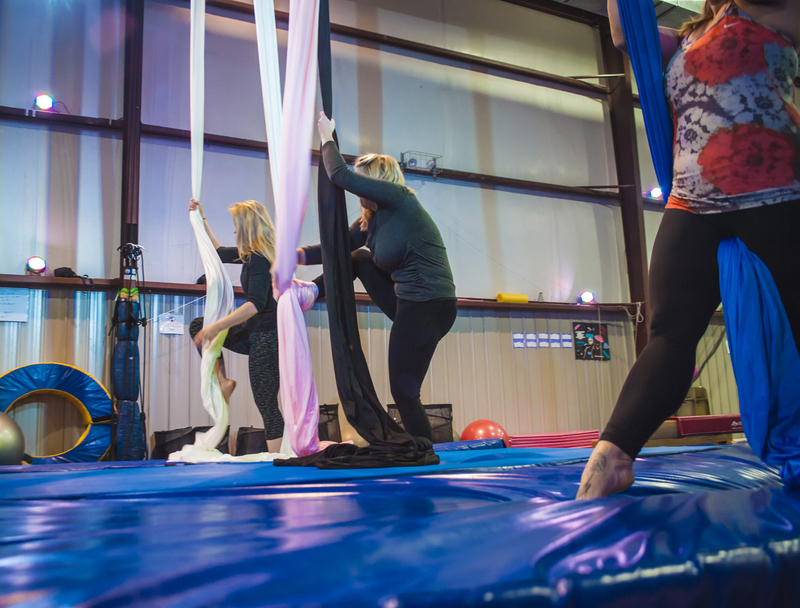 The classes labelled as "Beginner Silks" are exclusively for beginners, while the class labelled as "Aerial Silks" are open to all levels, including first-timers through advanced students. 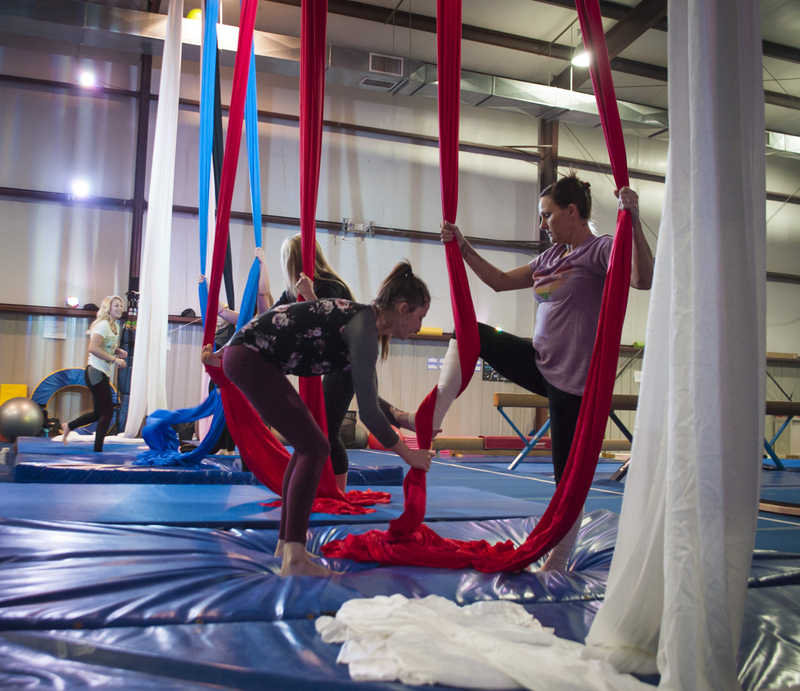 Classes labelled "Int/Adv Silks", "Intermediate Silks", or "Adv Silks" are exclusively for intermediate or advanced students who have begun working on drops, and have trained at NOCA before. 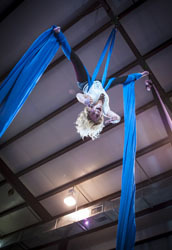 If you have significant previous aerial experience from another studio, give us a call before signing up. Beginner and mixed level classes are open to ages 13+, but the majority of our students are college aged and older. 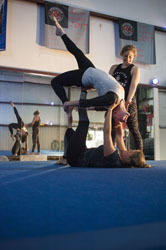 Intermediate and Advanced classes are open to ages 15+. 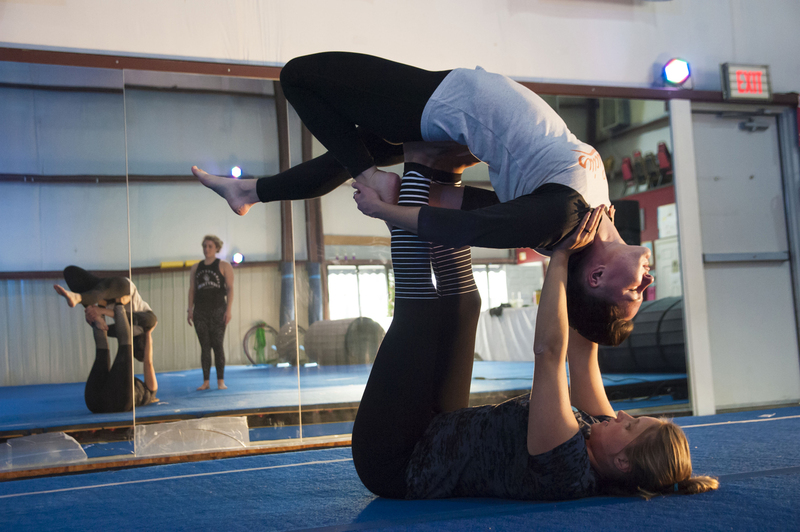 AcroYoga is a form of partner acrobatics that is fun and accessible for anyone! It combines elements of yoga, acrobatics, and thai massage. 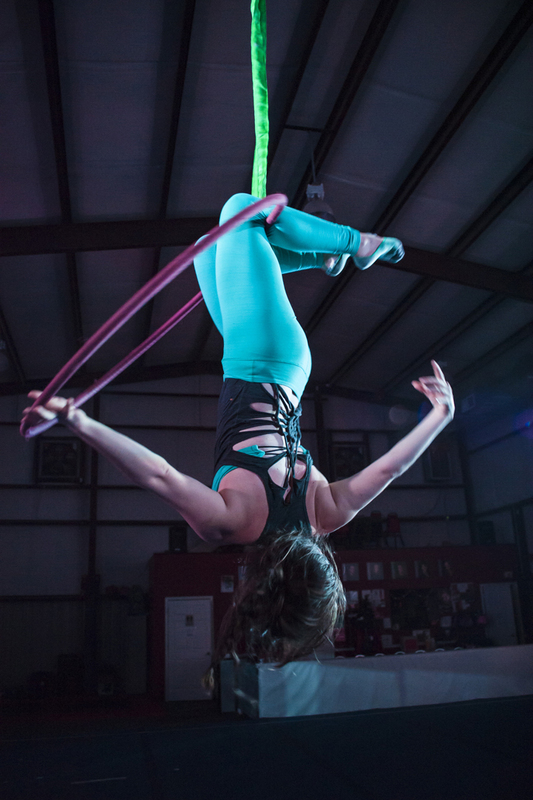 No experience is required, and you don&apos;t need to come with a partner. 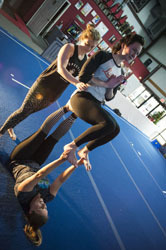 We work in groups of three: A base, a flyer, and a spotter. 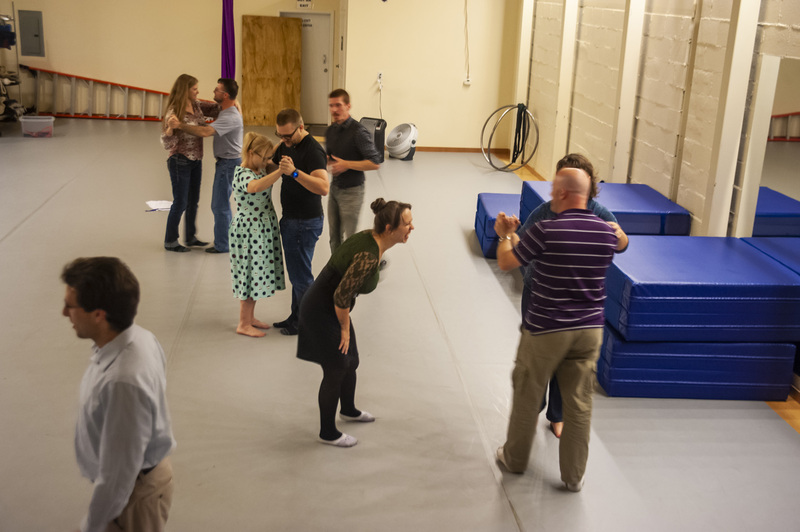 We make sure that everyone gets the opportunity to try all three of these positions with each move, and we usually shuffle the groups up randomly throughout the class. 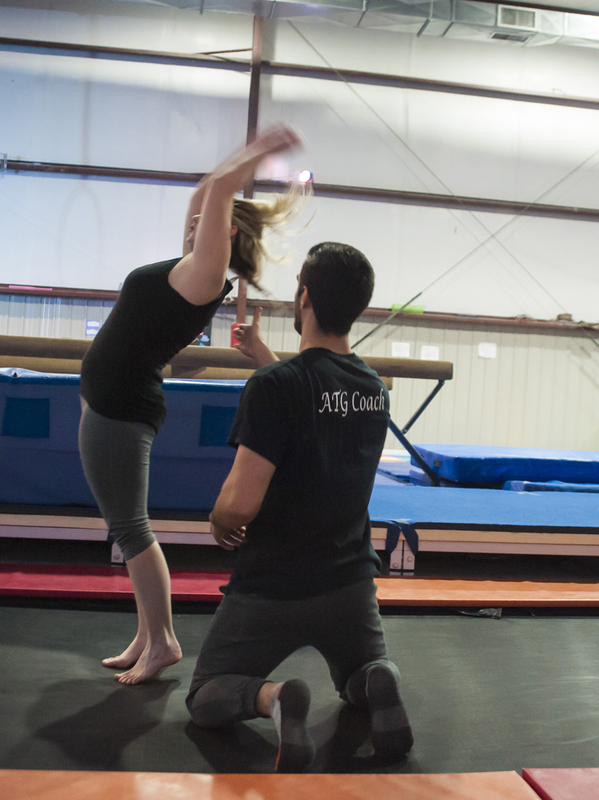 This class involves physical contact, so good personal hygeine is a requirement. Open to ages 15+. 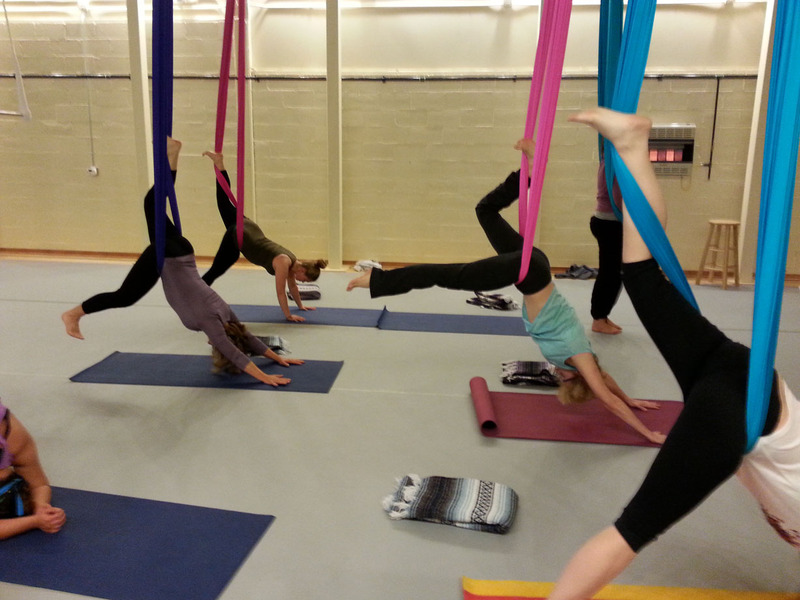 Aerial Yoga is a relatively new approach to a traditional yoga practice. 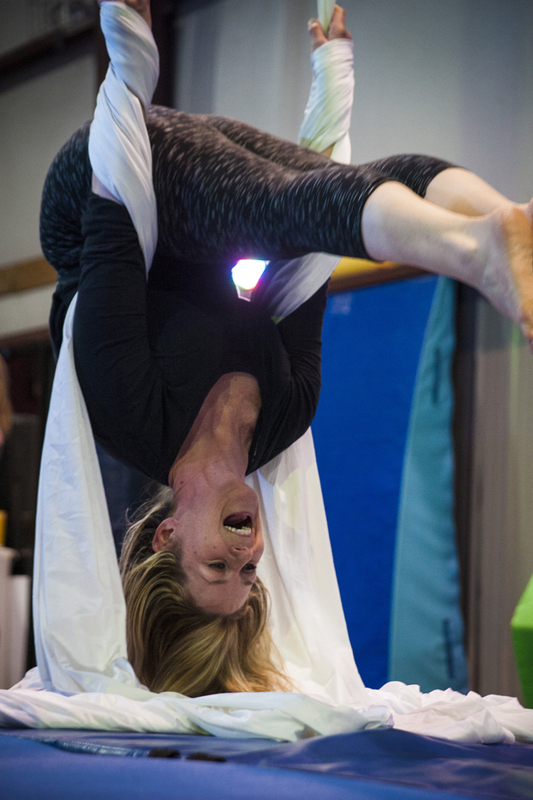 We use a the fabric to support the weight of our bodies, helping us achieve various postures with more depth, ease and excitement. 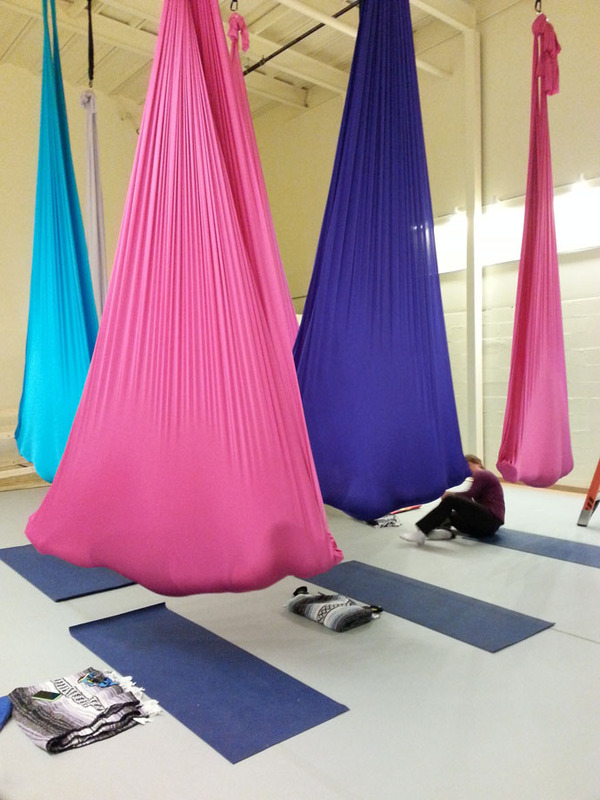 By relieving 20-80% of body weight, the hammock allows students to rapidly increase their flexibility while improving balance and core strength. 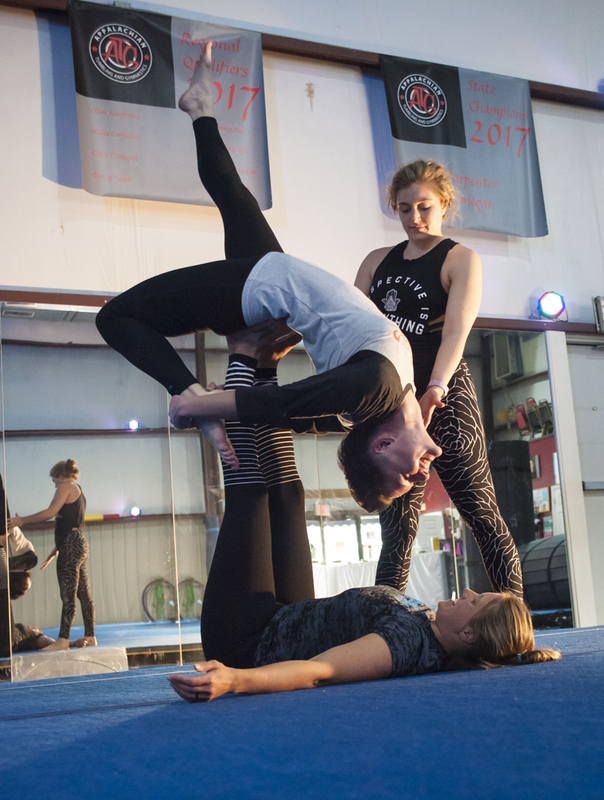 In doing so, students are able to reach more advanced yoga poses if desired, like inversions, offering improvements in health and vitality. 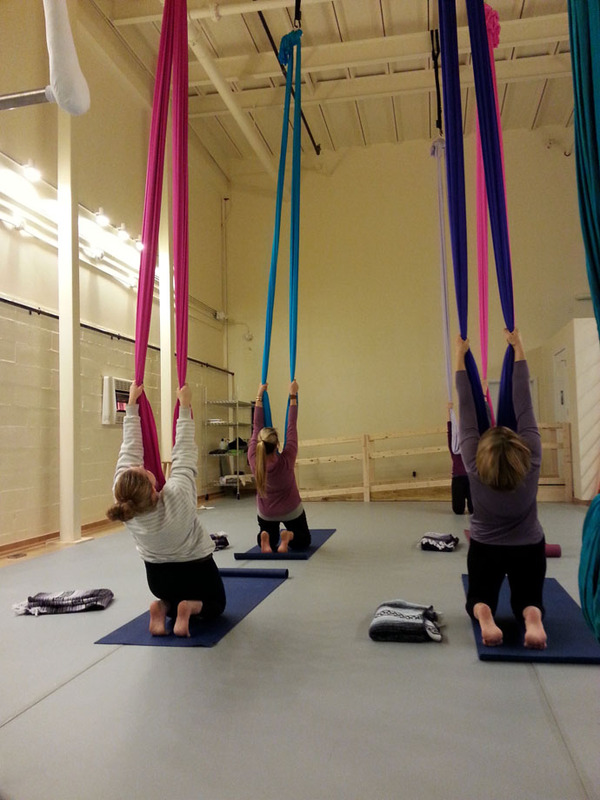 In addition, the silks are used as wraps on our bodies that gently massage. 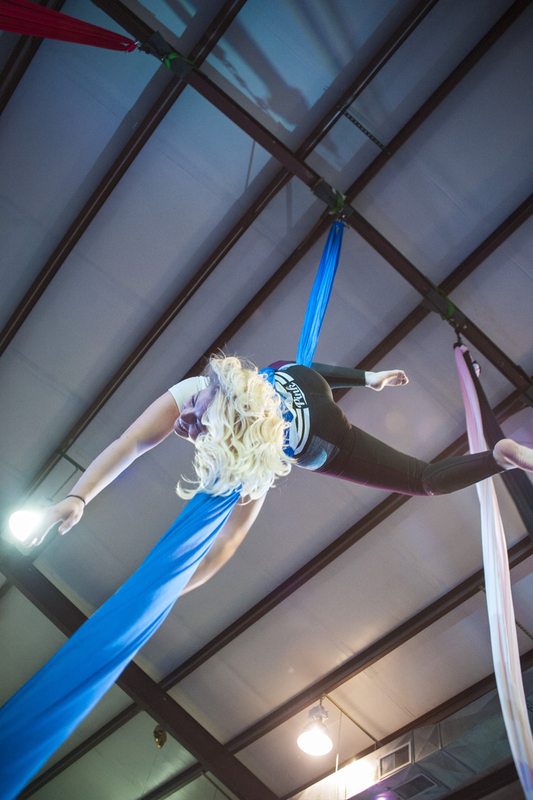 No aerial experience is required. Open to ages 13+. Lyra, also known as "Aerial Hoop" is a large steel ring resembling a hula-hoop, suspended from the ceiling, on which aerialists can perform. This class requires you to be able to consistently perform an inversion on the silks from off the ground before taking Lyra. 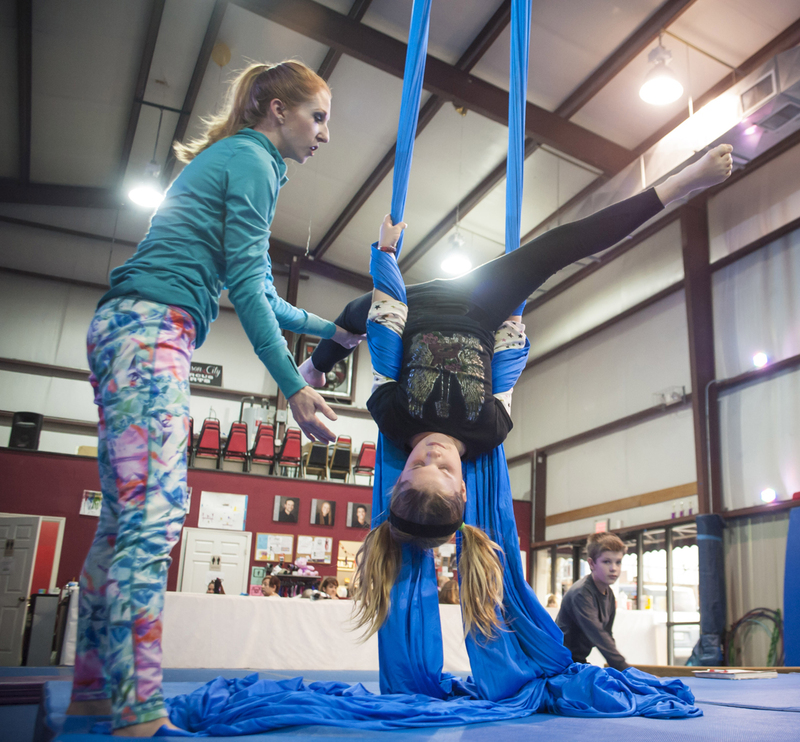 Talk to your silks instructor about this if you&apos;re not sure if you&apos;re ready. Open to ages 13+. 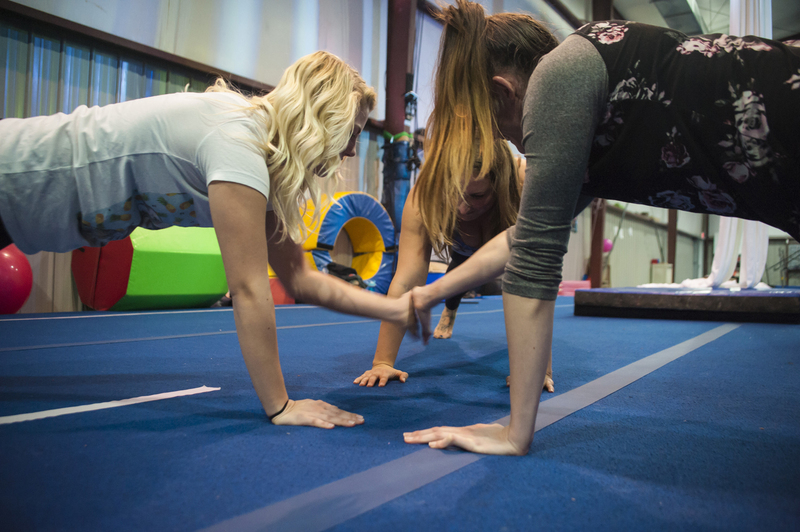 Beginner tumbling classes for adults can be surprisingly difficult to find, but this class is specially for adults! 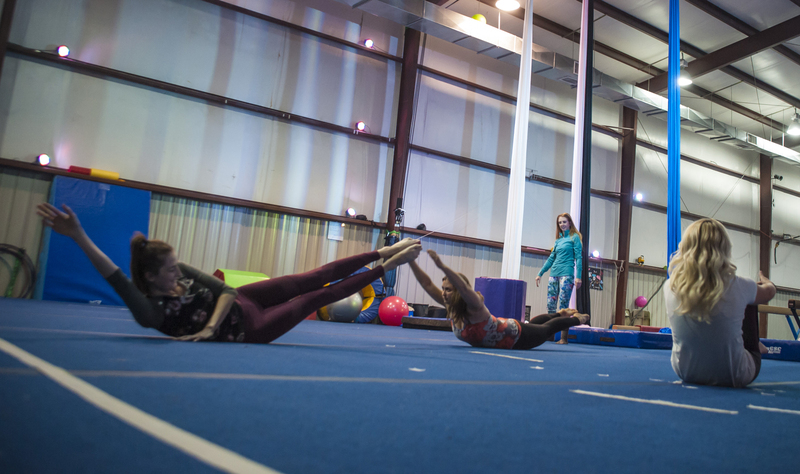 It&apos;s intended primarily for beginners, but accomodations can be made for intermediate/advanced tumbling students. 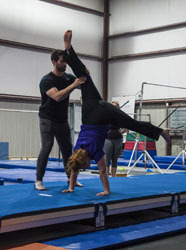 For beginners, this class starts with exercises to help you achieve or perfect your handstands, cartwheels, and round offs. 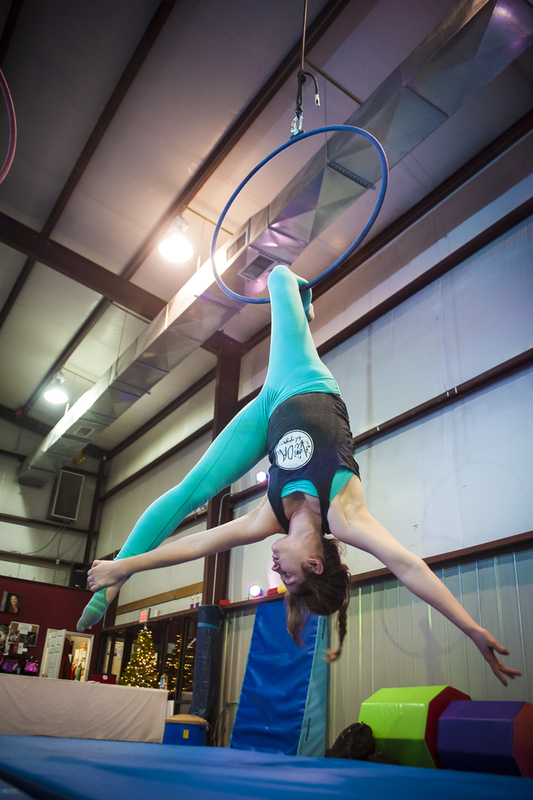 As students progress, the class covers back handsprings, back tucks, walk-overs, aerials, and much more! 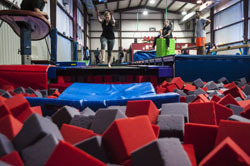 This class uses the spring floor, fiberglass rod floor, tumbling track, and foam pit. Open to ages 15+. 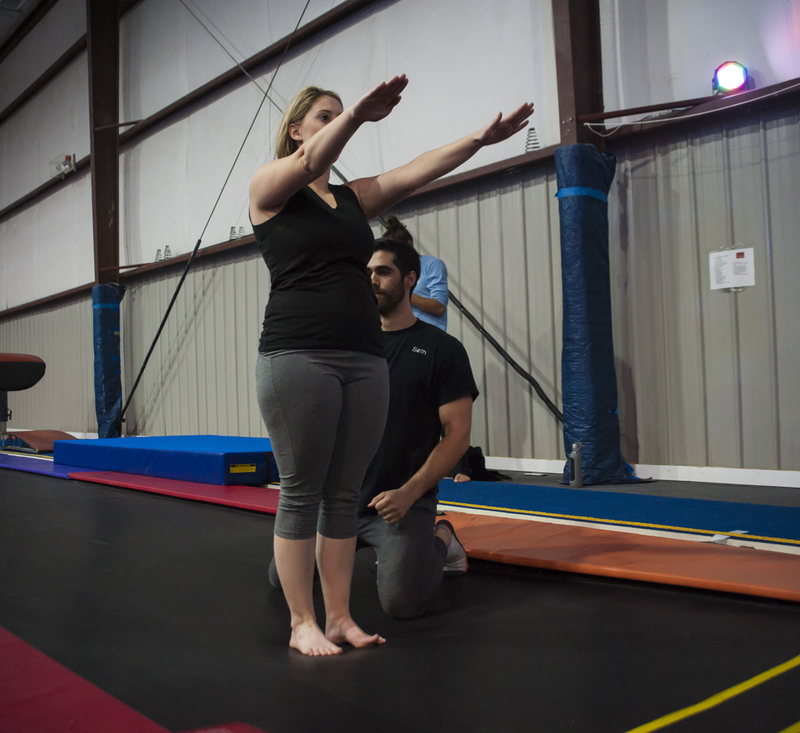 This class is brought to you by a partnership with Appalachian Tumbling and Gymnastics. 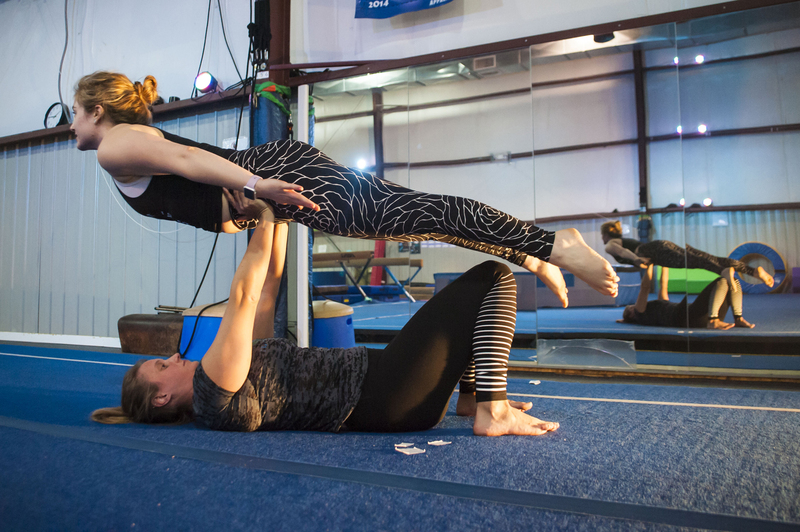 Building upper body strength will go a long way in circus arts! This class is primarily intended for people who already take aerial class, but aerial experience is not a requirement. The primary focus is on upper body strength, but we also work on core, lower body, flexibility training, and even some cardio. The difficulty level will be customized individually for each student. Open to all skill levels. 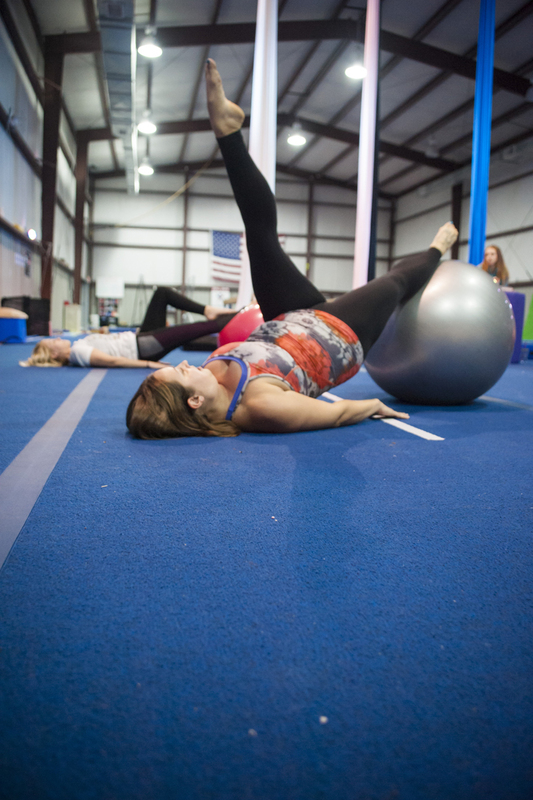 We&apos;ll work on building core, flexibility, rhythm, and lower and upper body strength using a stability ball and floor exercises. 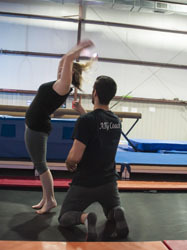 We will also incorporate working on movement & feet extension exercises, as well as fun partner exercises. 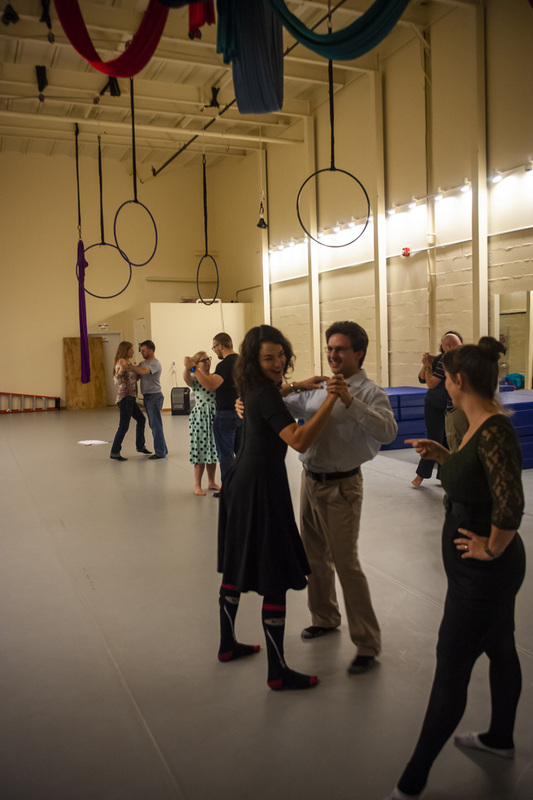 Ballroom dance may seem like an intimidating experience, but it&apos;s incredibly fun! 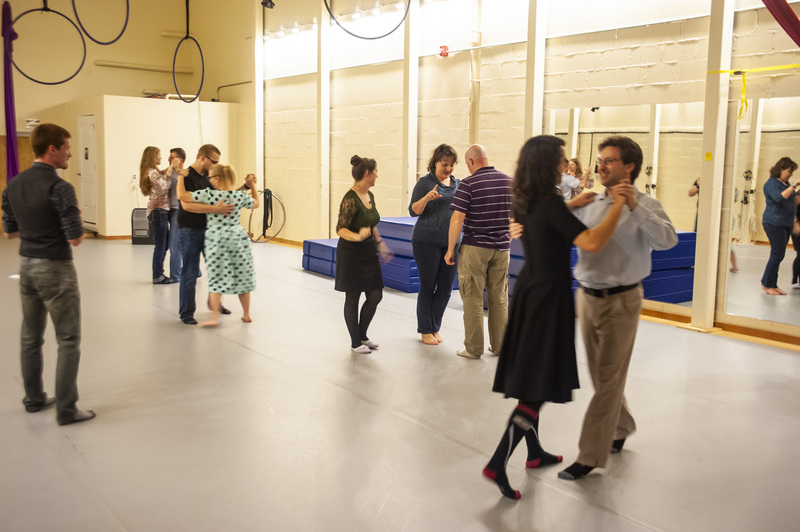 This class will cover the basics of Waltz, Rumba, Tango, Foxtrot, and Cha Cha on a rotating schedule or by popular vote. No previous dance experience of any kind is necessary. 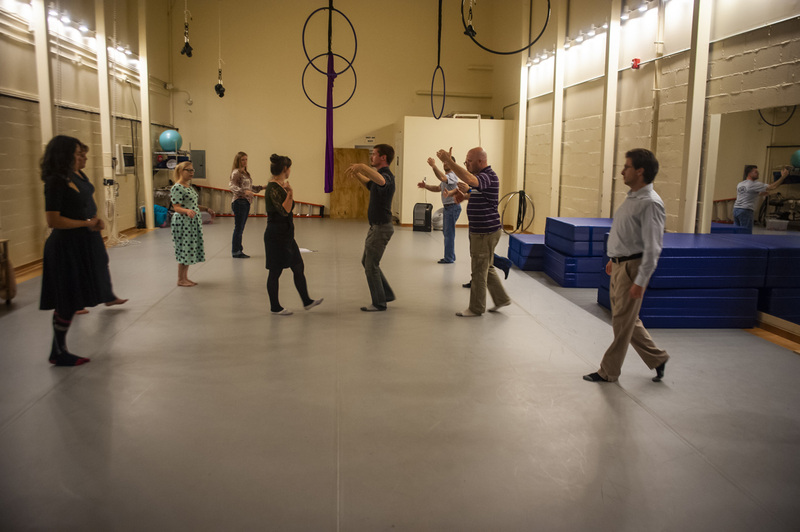 This class is for absolute beginners, up to intermediate level! 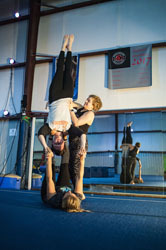 Partners are also not necessary, although it&apos;s encouraged to bring a friend. 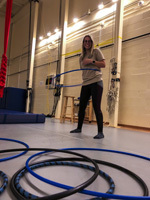 This class accepts $10 "fitness" credits. 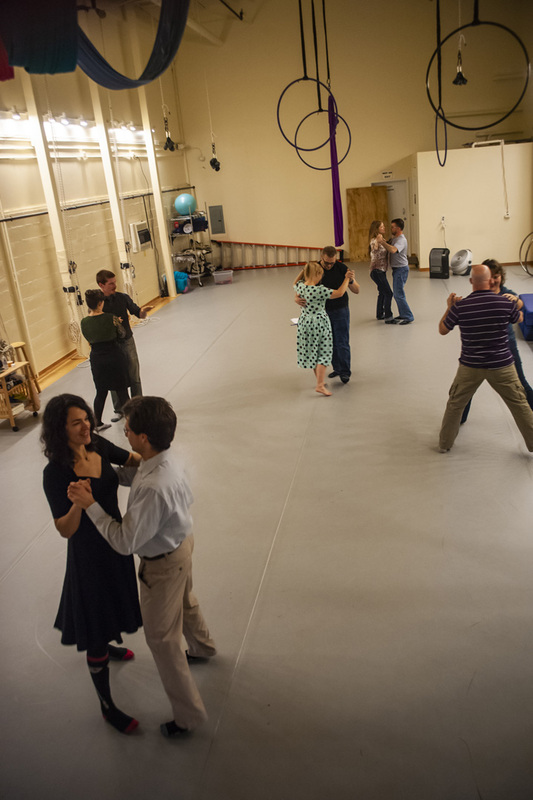 NOTE: Advance online registration is firmly required for ALL NOCA classes, including Ballroom! If the class fills up, and you&apos;re not signed up online, you will not be able to take the class. Conversly, if the class is empty, the instructor will not show up to teach. If there are multiple people in your group, each person will need to register a separate account on the website. 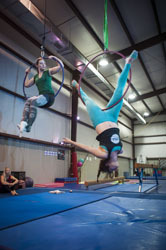 The liability waiver is part of this registration process, so it must be completed individually by each participant. Belly dance has its roots in folk dances of the Middle East and North Africa where it is traditionally performed at social gatherings and celebrations. 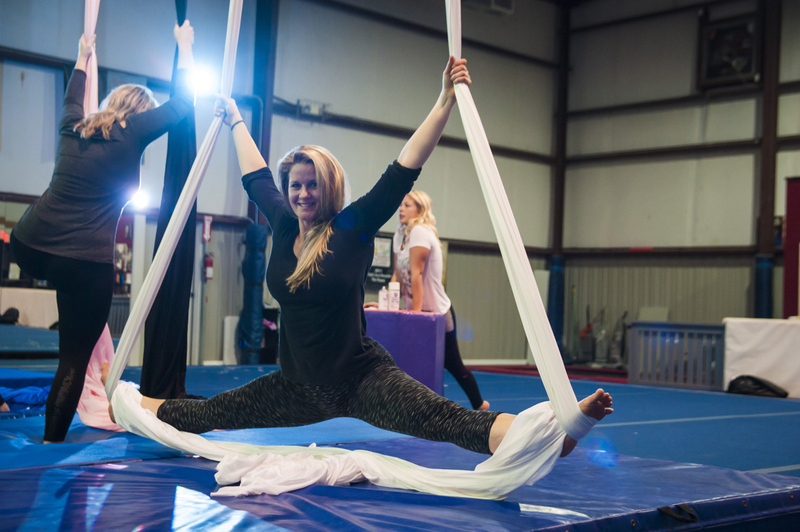 This beautiful dance provides a low-impact, full-body workout that is accessible for all fitness levels. 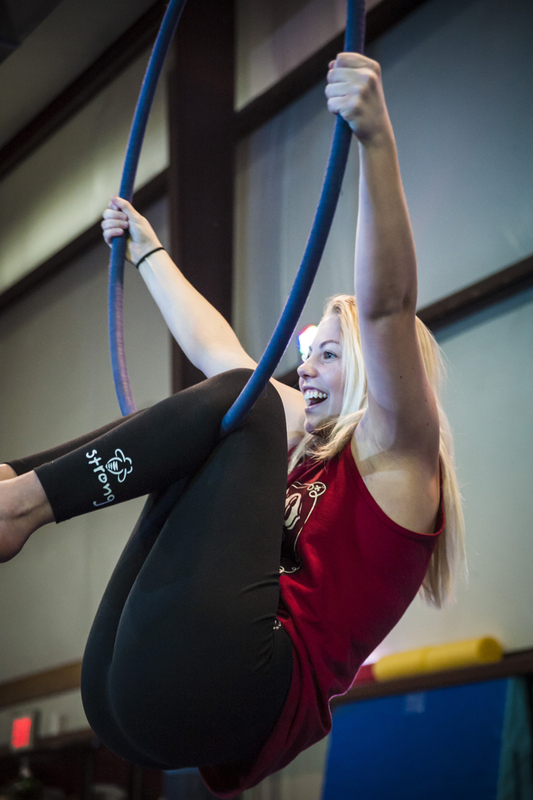 Physical benefits include muscle toning and increased coordination and stamina. 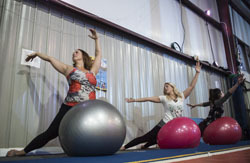 Belly dance is also wonderful to build self-confidence, relieve stress, encourage creative expression, and just have fun! This class will include breakdowns of basic belly dance movement vocabulary and build them into combinations to get you dancing! 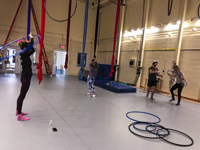 This class accepts $10 "fitness" credits. 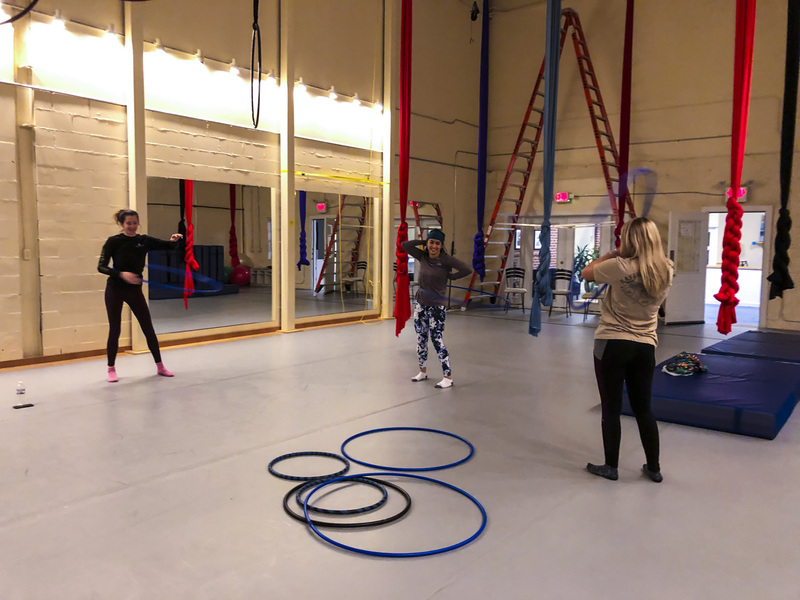 Hula Hooping provides you with the opportunity to tone muscles, increase stamina and flexibility, improve coordination and reduce stress through the promotion of overall mind/body health. 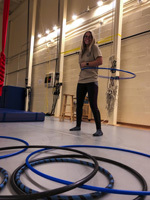 Much like dance, hooping opens up your body to creative expression, movement and fun from within the hoop. 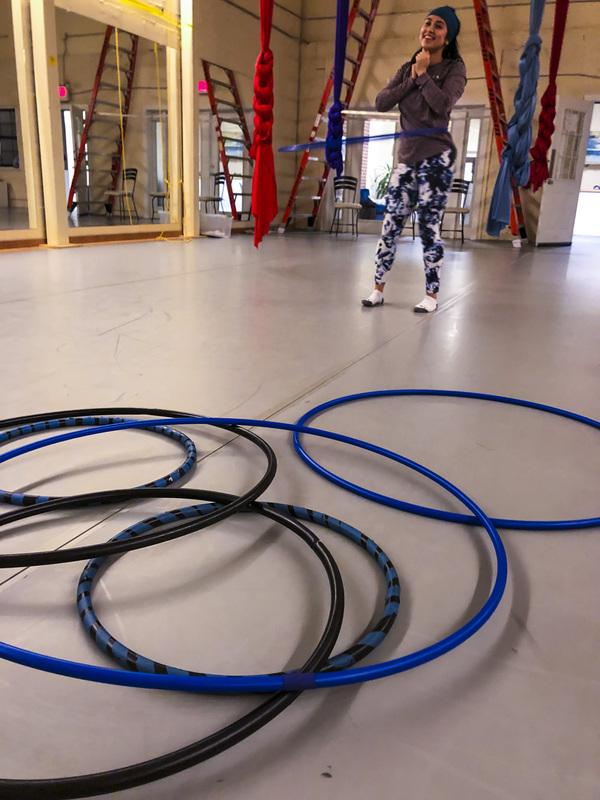 This class will include waist hooping, hand hooping, flow assistance, and FUN. 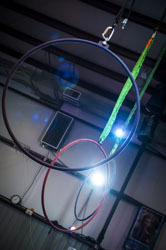 Modifications are available to accommodate any student level, from beginners to the more advanced. 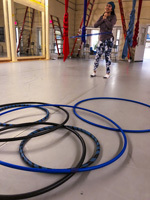 Challenge and engage yourself with our hooping classes! 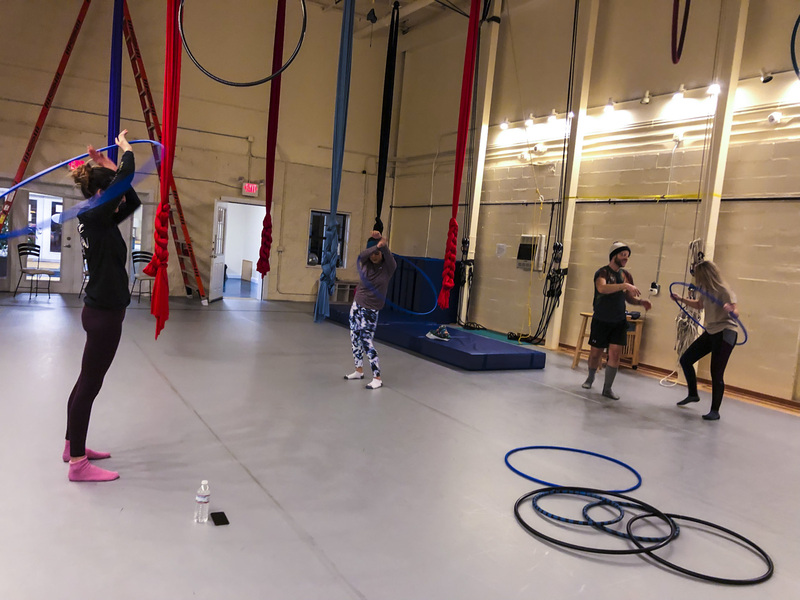 This class accepts $10 "fitness" credits. 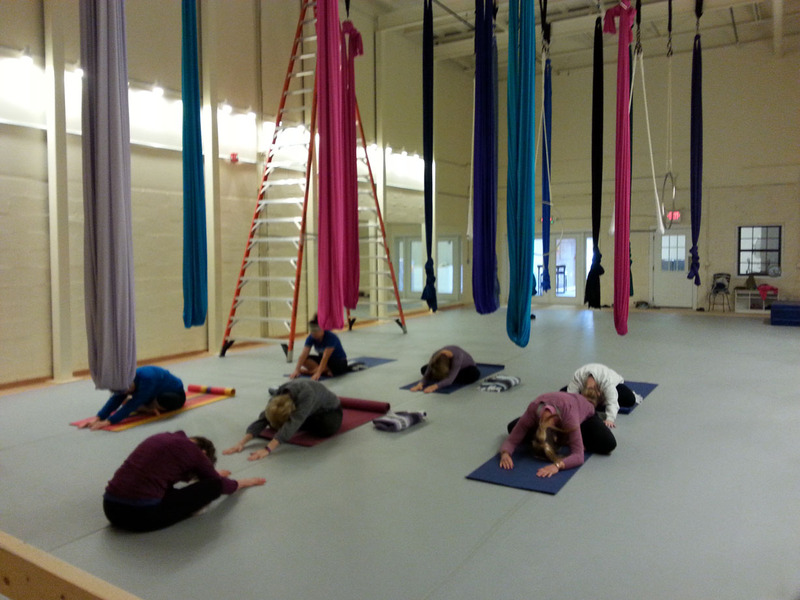 Vigorous Vinyasa is an intermediate/advanced yoga class that will leave you sweating in savasana! 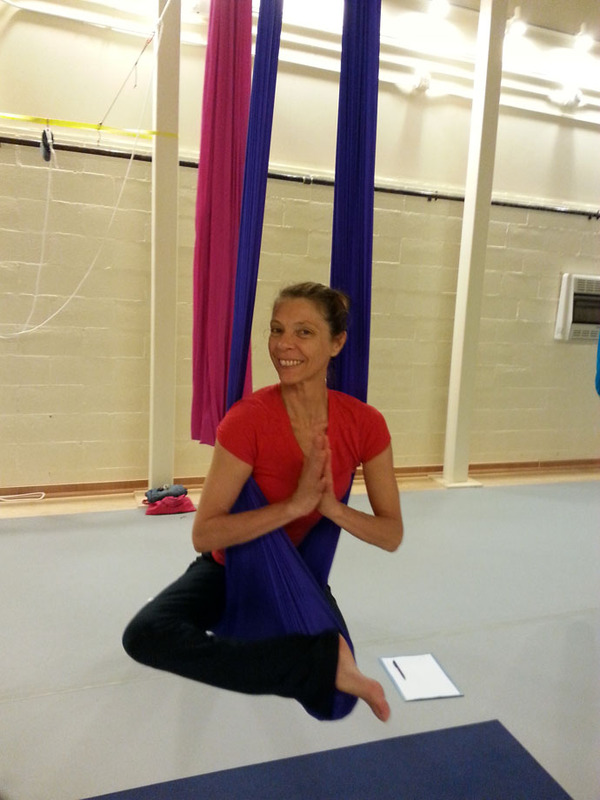 Tammy combines vinyasa flow with challenging poses and transitions to help build strength and flexibility. 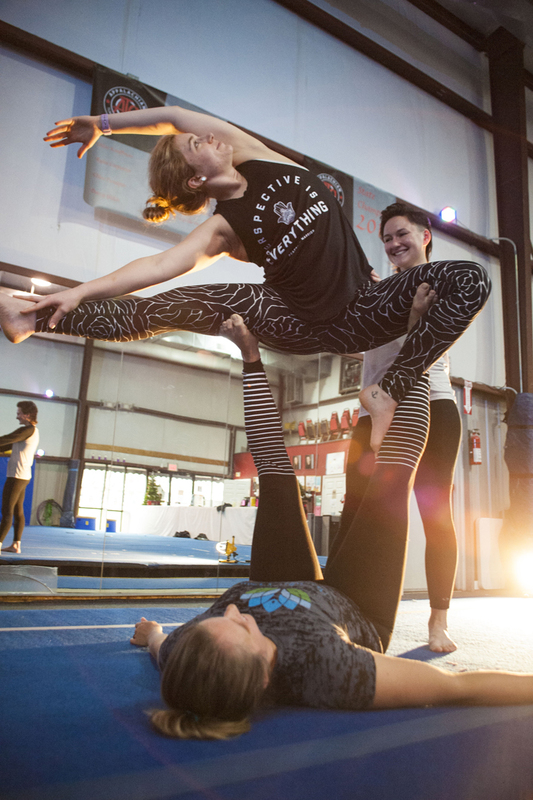 While some yoga experience is recommended, Tammy believes that anyone who leaves their ego off the mat can participate in this practice. 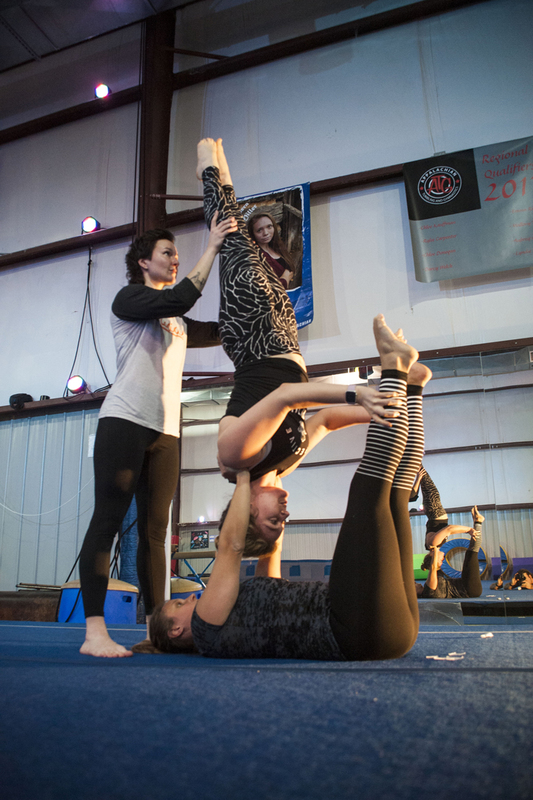 The only way to advance in your practice is to challenge yourself. 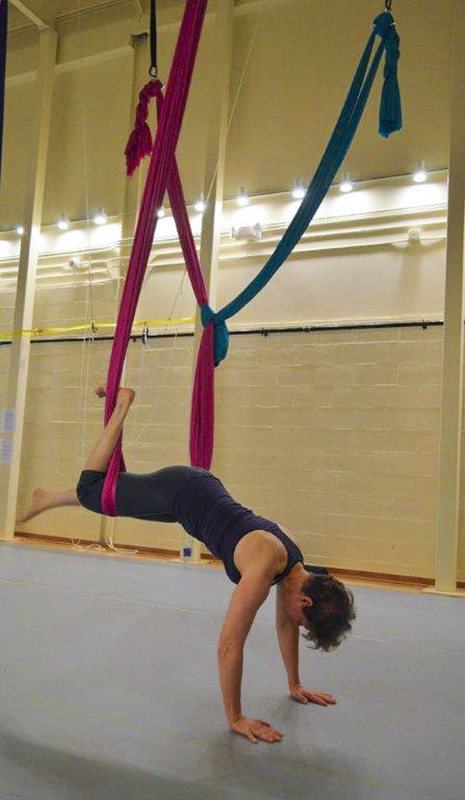 Vigorous Vinyasa can be that challenge! 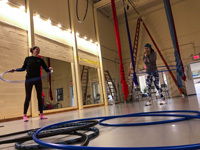 This class accepts $10 "fitness" credits. It is a traditional floor-based yoga class - NOT aerial / acro. Aerial Silks are a great way for students to increase strength and dexterity while having tons fun! They will get to climb, spin, hand upsidedown, and noodle around in the silks, all while learning new skills. 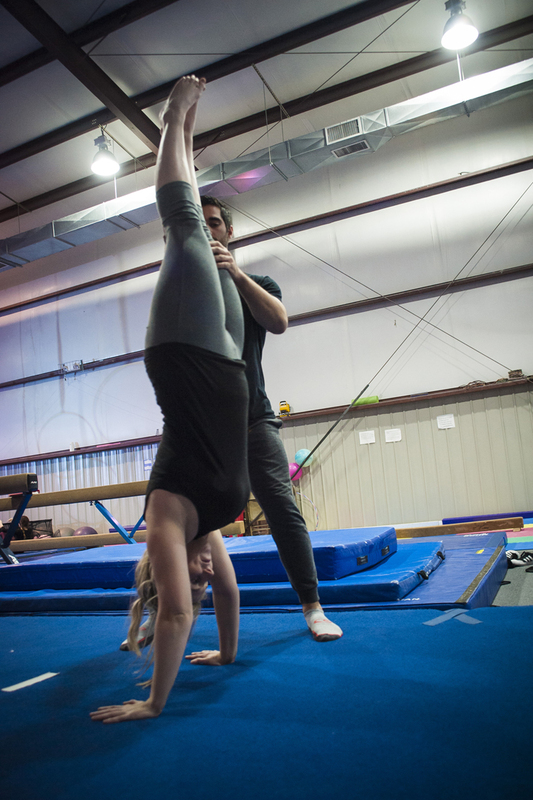 We work over an 8-inch crash mat at all times. 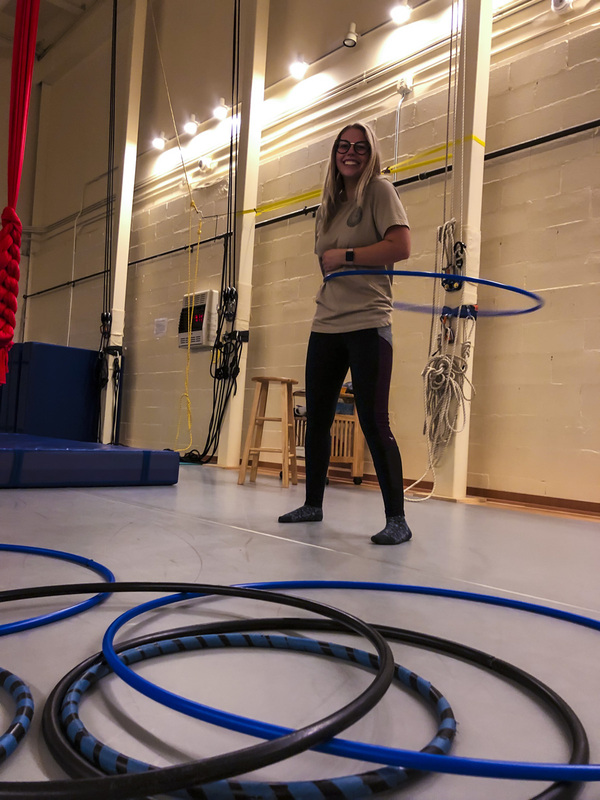 The core goals for this class are to be safe, and have fun! 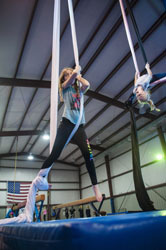 Open to ages 7-14. We prepare a customized lesson plan for every class that we teach based on who is signed up. 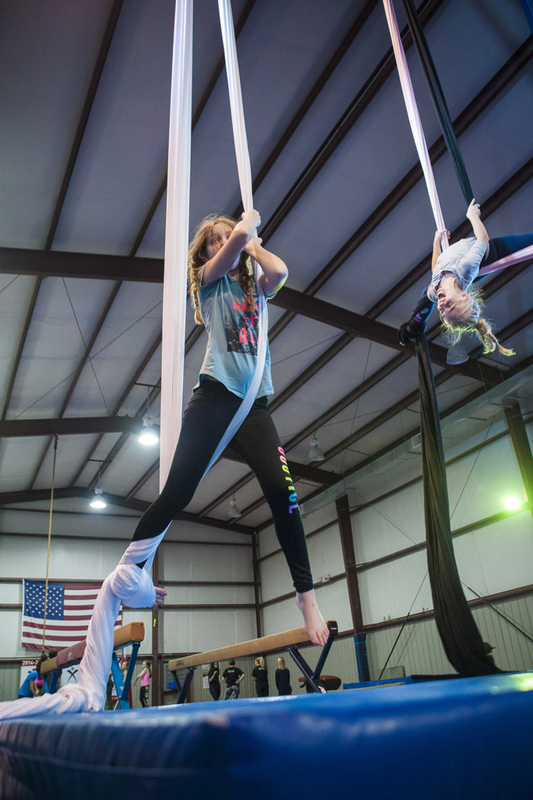 Because of this, it is a strict requirement that all kids are paid and signed up for their class online at least 12 hours before this class. We unfortunately cannot take walk-ins, or last minute signups in the kids class. 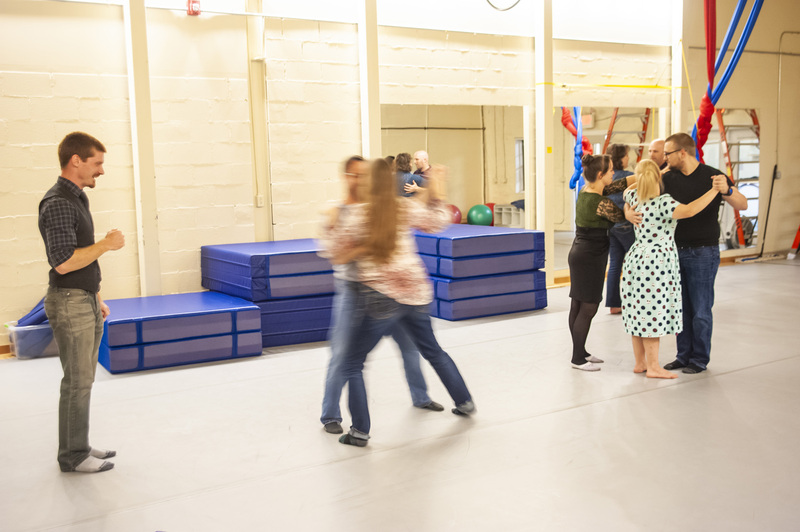 Parents of children under 12 must remain present throughout the class. 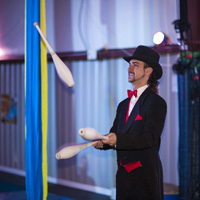 Juggling classes for adults are available by request. 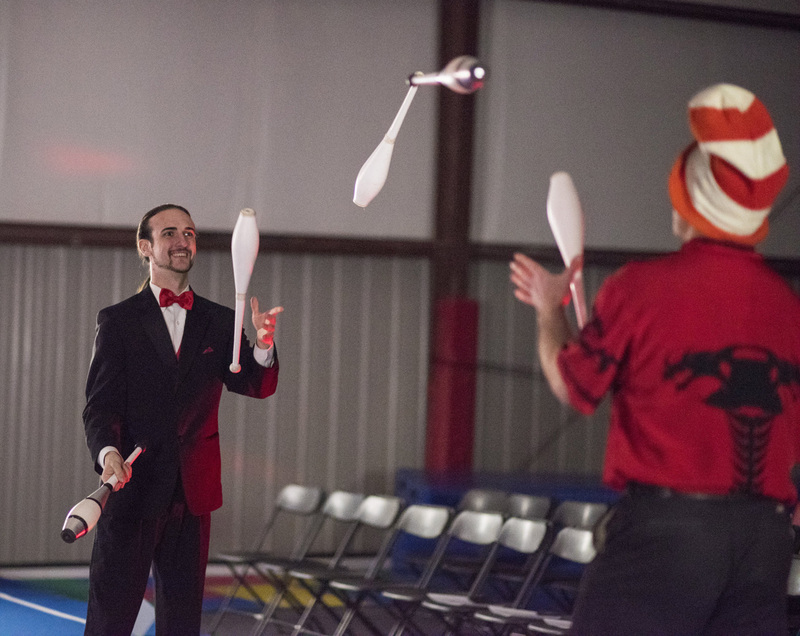 We often have casual juggling practice time during Open Gym, and we&apos;re happy to teach beginners! This is free! Just call ahead and let us know if you&apos;re coming to Open Gym to juggle. Open to ages 15+. 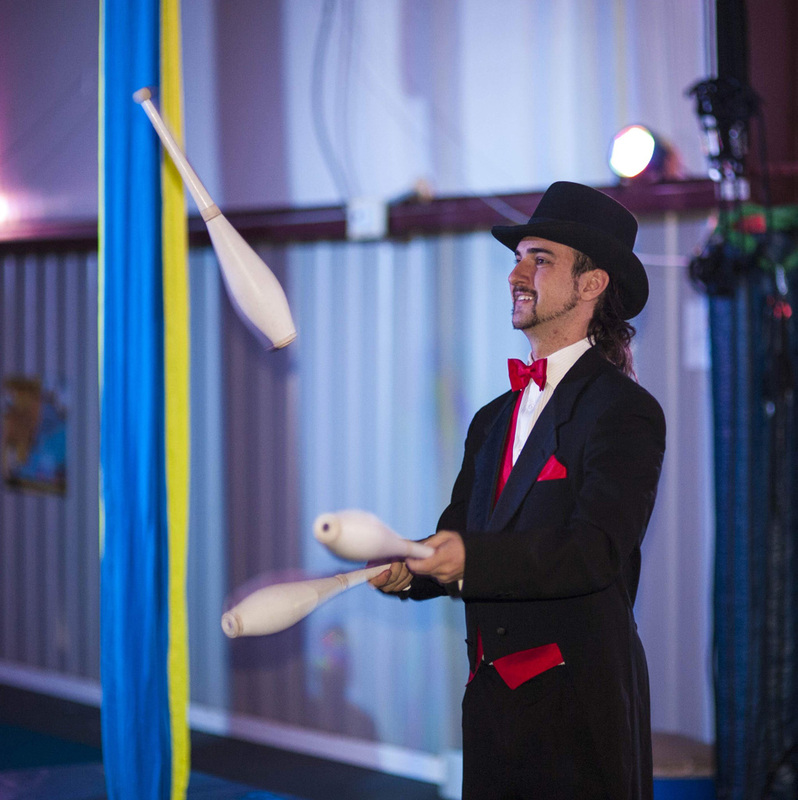 We offer private lessons in juggling for adults, or kids aged 7+. 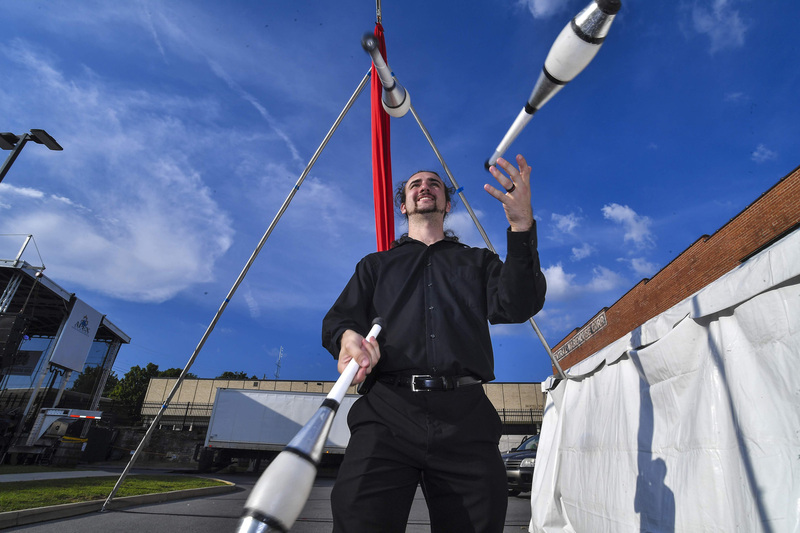 We can also help you plan trips to amazing regional juggling festivals and conferences, including the Atlanta Groundhog&apos;s Day Juggling Festival, the International Jugglers Association Festival, and the Asheville Juggling Festival! 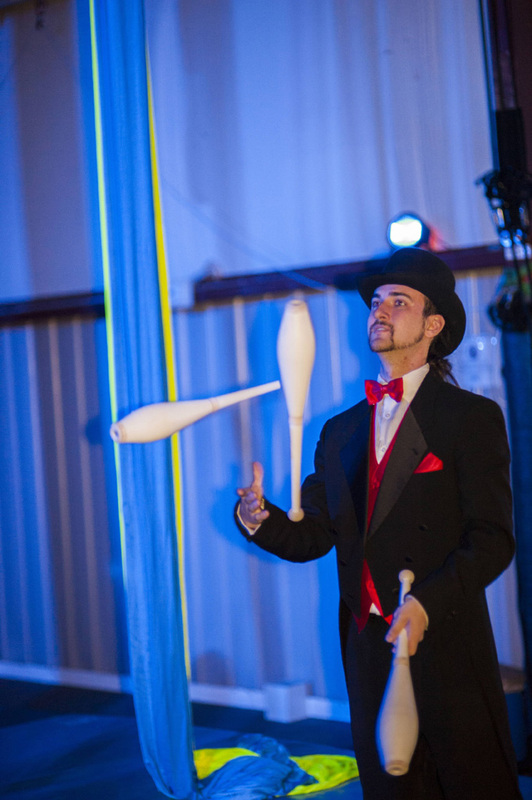 Attending one of these events is truly the best way to learn about the art of juggling! 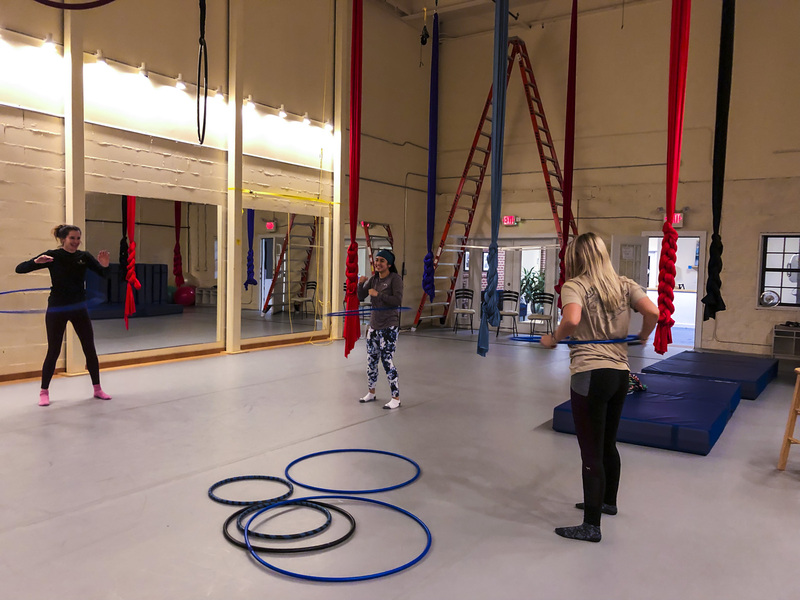 Open Gym is a time for students to come in and practice moves that they&apos;ve been working on in class. An aerial instructor will always be present to oversee safety, and provide spotting if needed, but they will not be teaching during this time. Students are prohibited from teaching each other during this time. 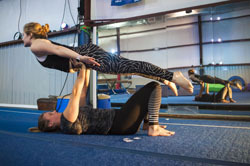 Attempting moves that you have not been taught in person by an aerial instructor is also prohibited. If you want to use the aerial equipment during open gym, you must have taken an aerial class within the last month, or have special permission from an instructor. 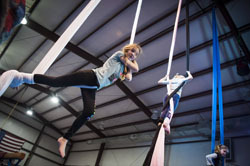 A trapeze and corde lisse are also available, but since we don't offer classes for these apparatuses, instructor permission is required. Open to ages 15+. 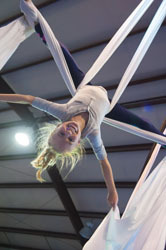 Children under 16 must be supervised by a parent. 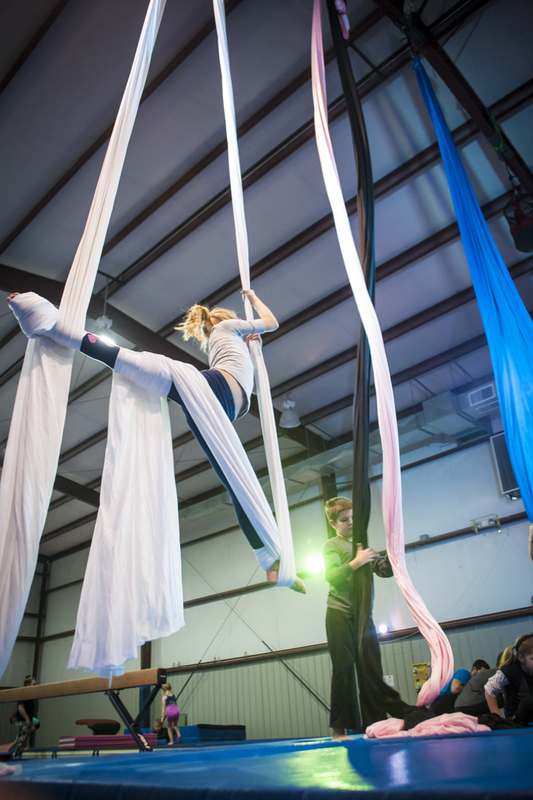 All aerial class packages come with one free open gym credit. 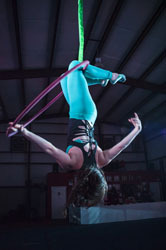 Private lessons in any of the skills listed above are available. If you&apos;re really serious about perfecting your skills and taking them to the next level, private lessons are an incredibly effective way to achieve that! Cost is $65 per hour for one student, and $10 per additional student, for a maximum of 6 students. 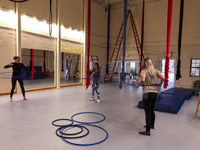 Call us to talk about your class goals, and scheduling before you purchase private lesson credits. 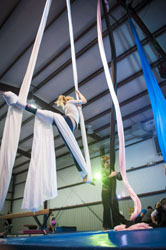 Private parties for any of the skills listed above are available, with Aerial Silks being the most popular. 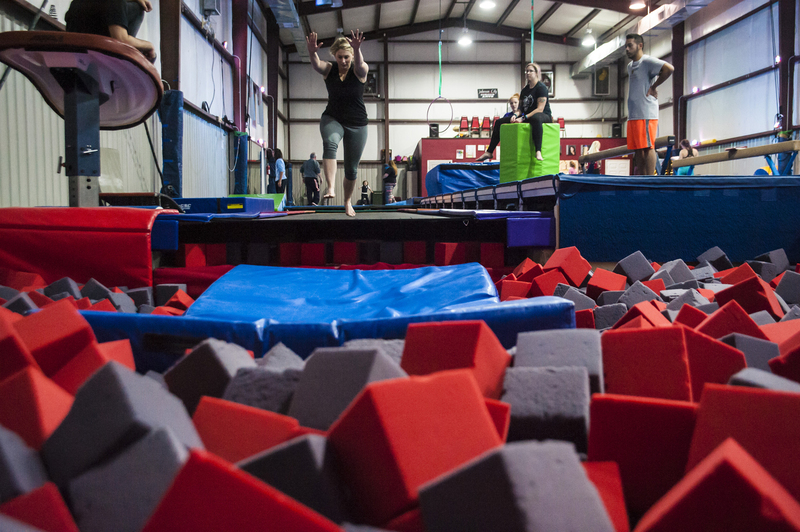 This is great for bachelorette parties, corporate team building, birthday parties, or field trips! 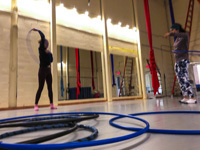 Cost is $180, which covers up to 12 students, and a 60 minute class. 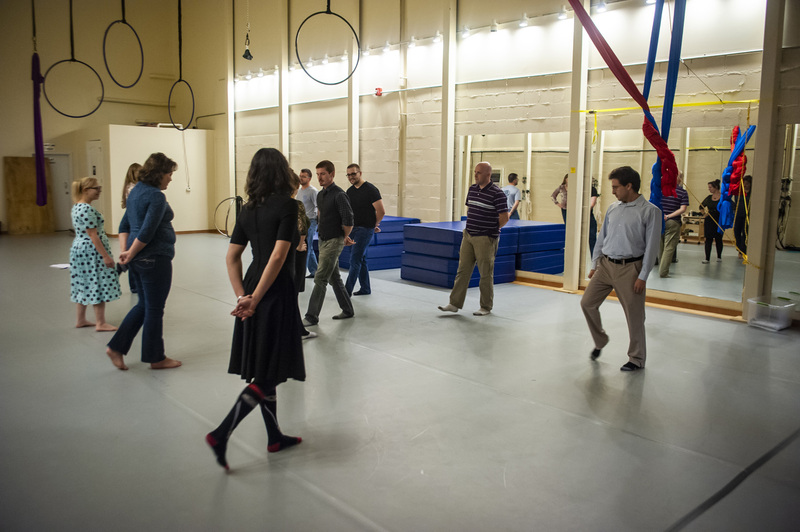 For groups larger than 12, we have to split them into two consecutive one-hour groups for a total price of $300. If you need extra room rental time (cut your cake and open presents at NOCA! ), this is available for an additional cost of $50 / hour. Call us, let's talk! Photography by Keith Dixon Studios, Elissa Wood Photography, Amanda and Chad Photography.